The Cleveland Street Cemetery and Crownhill Cemetery are public cemeteries operated by the city. 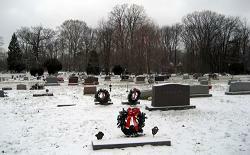 Information about burial plots in the City’s cemeteries is available by calling the cemetery sexton at (440) 988-4052. 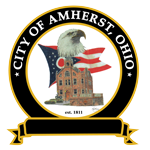 St. Joseph Cemetery is a Catholic cemetery operated by St. Joseph Catholic Church in Amherst. 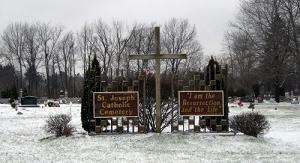 Information regarding St. Joseph Catholic Cemetery may be obtained by calling St. Joseph Catholic Church at (440) 988-2848.